This card can be used in store or online. 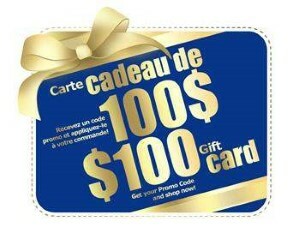 On your gift card you have the promotion code that you can use once on our web site. You will have to enter your gift card number (promotion code) on the cart page. Cannot be surrendered for cash.